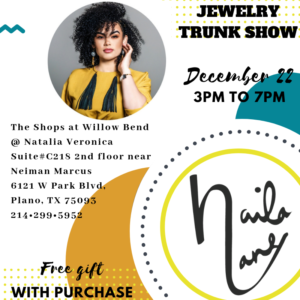 NV is proud to present local jewelry designer Christine Caldwell and her line Naila Lane to the new NV Shop located in the Shops of Willow Bend, Plano Texas. NailaLane brings exotic stones, textural vibrant leathers and bold metals together to create one of a kind statement jewelry. Each piece is handcrafted and just like NV, the NailaLane Collection can best be described as a work of art. 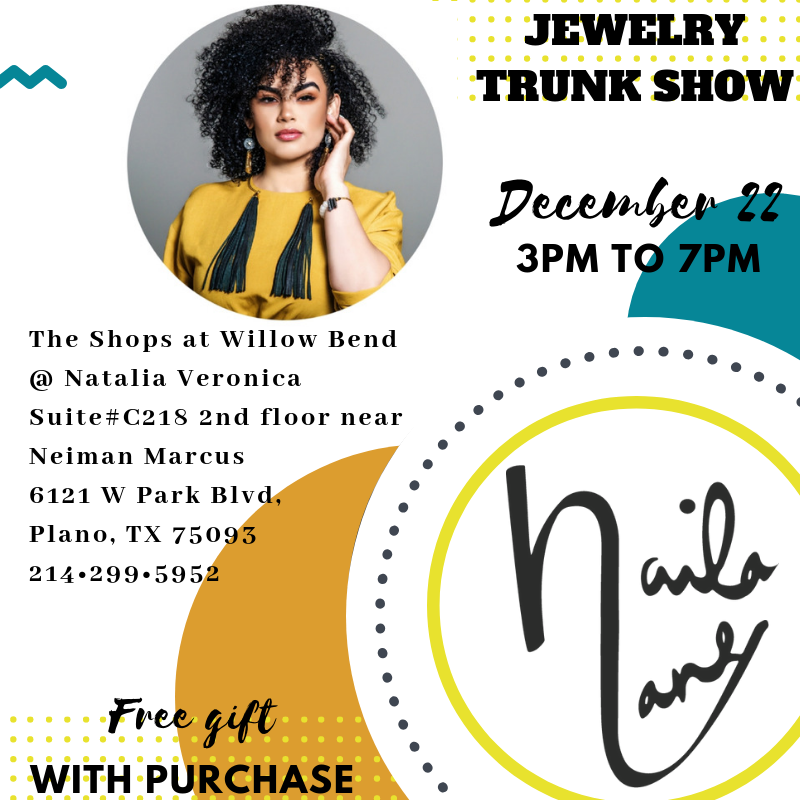 Stop by the NailaLane Trunk Show Saturday December 22nd, 2018 starting at 3pm to 7pm and find something special for someone special. Giveaways and Gift With Purchase available along with bites & beverages! See you there!